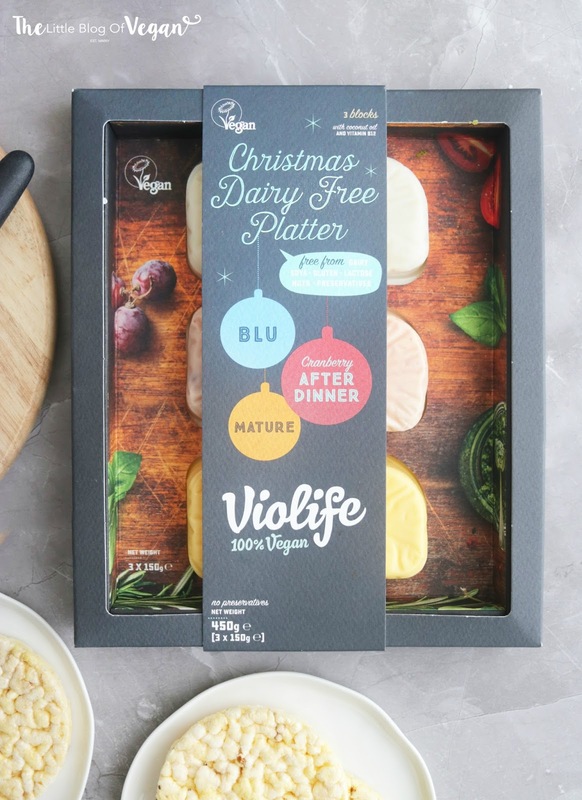 I am so excited I can finally enjoy a cheese platter this Christmas, thanks to Violife! 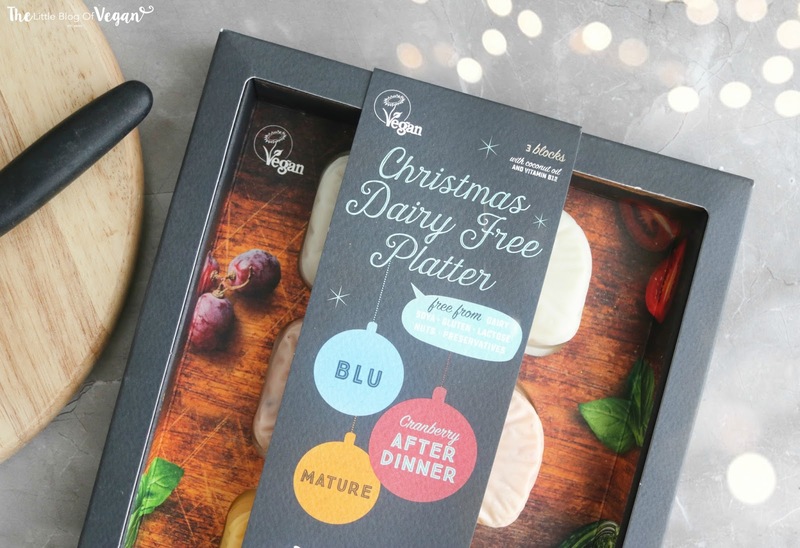 Me & my family are big dairy-free cheese fans so this was very exciting news, especially to me, haha. 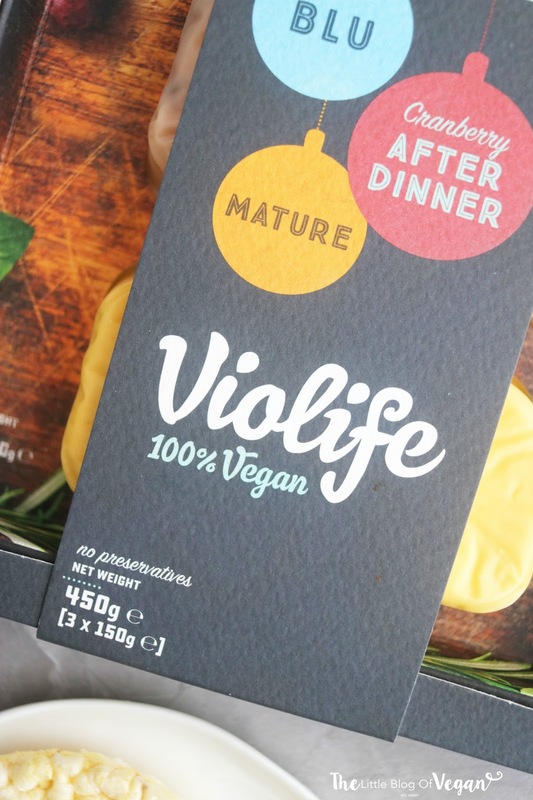 If you don't know, Violife is a dairy-free & 100% vegan cheese company based in Greece who are dedicated to making amazing vegan & non-GMO products. I am a huge fan of their vegan parmesan & mozzarella cheeses already. They are my go-to for pizza and pasta dishes and always make meals extra tasty!! I especially like the after dinner red. It's a crumbly cheese, with little chunks of sweet cranberry inside- yum! I served it traditionally after a meal to my family with a variety of vegan crackers. They are the perfect combination and it went down a treat. This platter would make a great gift for any foodie as they can be used in recipes as well as sharing at a Christmas dinner party/event. I definitely wouldn't mind receiving it!!! Each cheese is 150g and at 5.99 is a fantastic price. A huge thank you to Violife for collabing on this blog post with me! It would be a very great pleasure to be privillaged to have a taste of special, cheese platter containing three different kind of cheeses - blue cheese is my favoite!